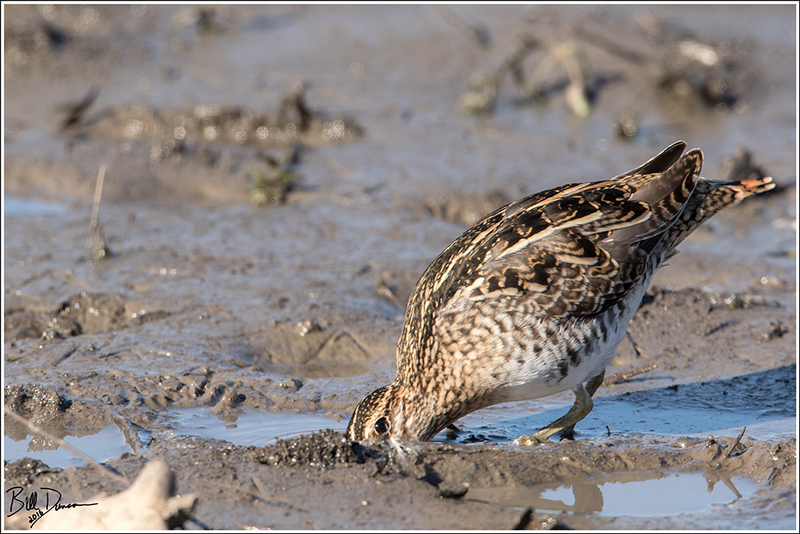 Wilson’s Snipe – Scolopacidae – Gallinago delicata – Confluence Road, St. Charles Co, MO. With everyone on Facebook posting their great photos of our Thanksgiving Snipe, I thought I would go ahead and process and share before they got lost and forgotten for months. The photo above is, in my opinion, the most pleasing way of capturing a shore bird. The back of most shore birds are often their most colorful and patterned side. I like to try and capture the from behind with their head turned so to see their eye and the length/shape of their bill. I did not bring a wider lens on this morning, but I wish that I had. 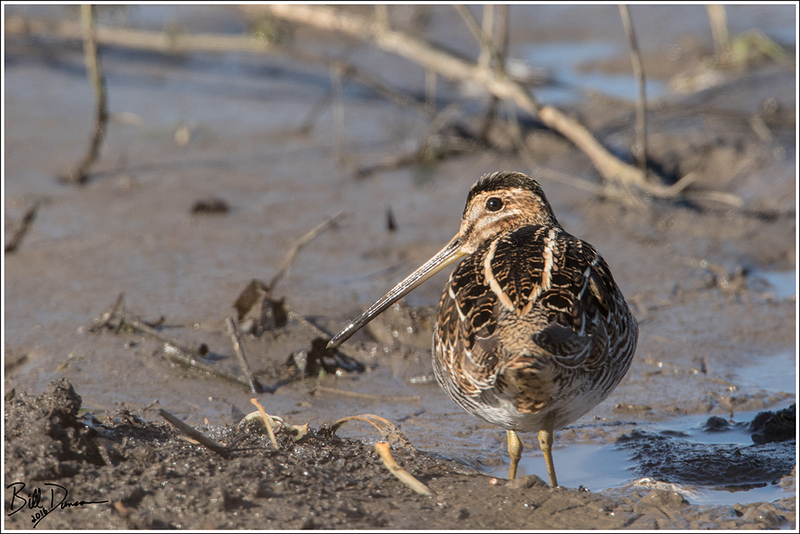 I counted 17 Snipe within a pretty close distance of each other in a section of sweet and soft mud. Nares Deep! 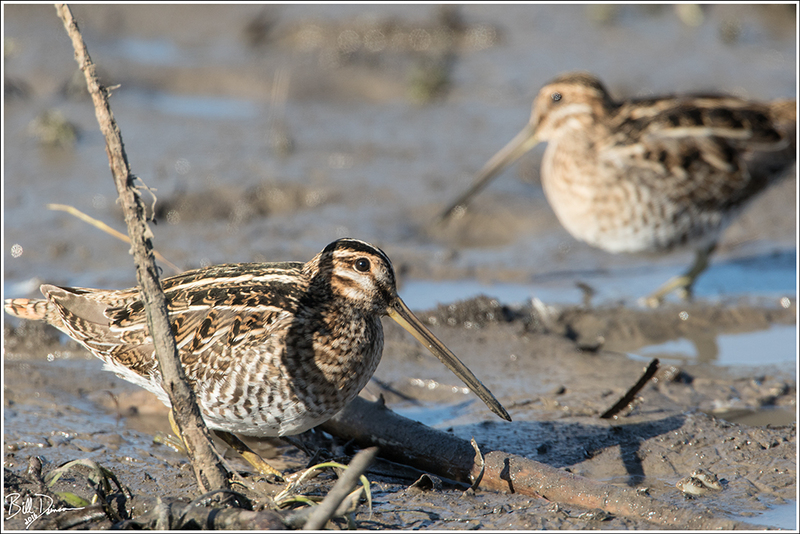 Wilson’s Snipe – Scolopacidae – Gallinago delicata – Confluence Road, St. Charles Co, MO. In the image above one can imagine the depth they can get with those lance-like bills as they probe the mud for invertebrates. Check out the video below to get an idea of how these guys feed. Next Next post: It’s Swan Season!